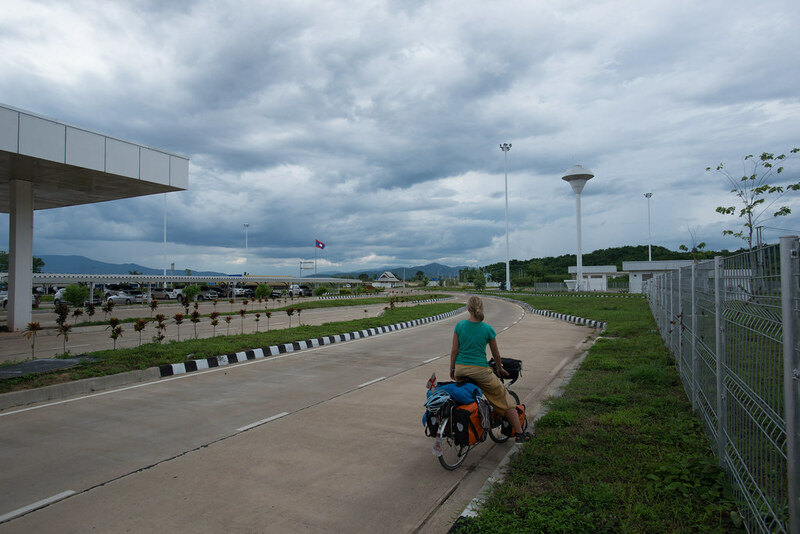 Crossing from Thailand into Laos was another one of those drastic changes from one country to the next that we had experienced a few times in Asia. Development is definitely lagging in Laos and having come from Thailand where we had a brief taste of the west; the contrast was stark. 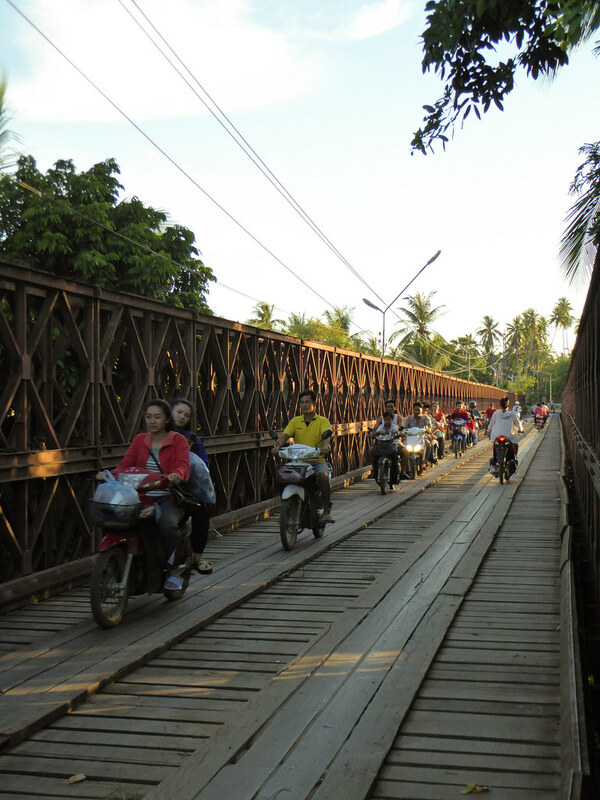 After crossing the border we made our way to the small border town of Huay Xai. 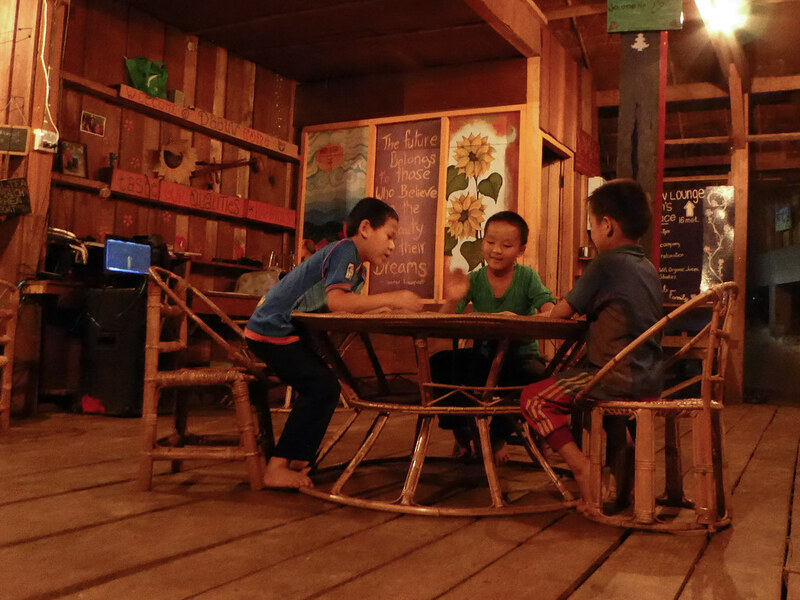 The town itself is pretty un-spectacular, it has a several overpriced guest houses and restaurants; but it is firmly rooted in the backpacker circuit because it is the setting off point for many taking cruises down the Mekong. Which after some deliberation we had decided we would be part of. 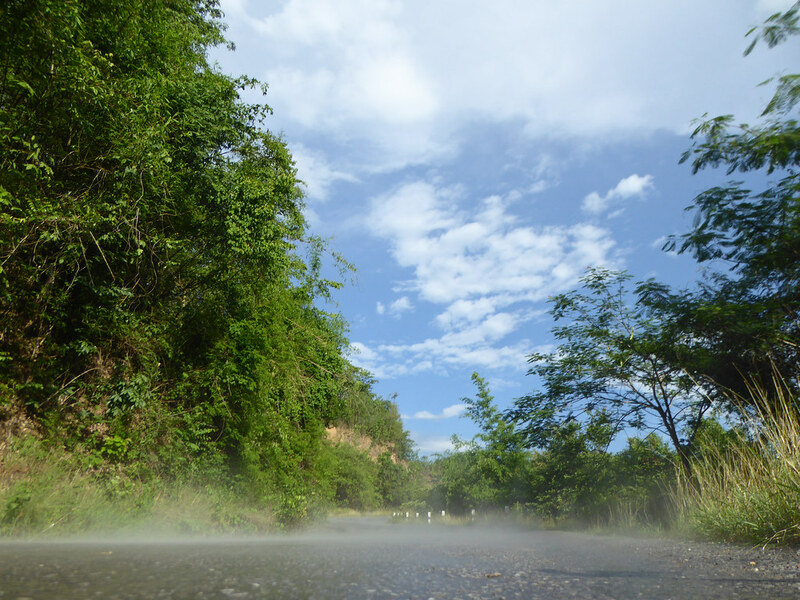 The terrain, road quality, infrequent locations for supplies and the heat had convinced us to get off the bikes and trade them in for a boat. We immediately noticed prices from across the border had increased, not just because we were in a touristy area, but it seemed that the cost of everything was just higher. A phenomenon we had experienced when going from countries with large economies to smaller neighbouring countries like India and Nepal. 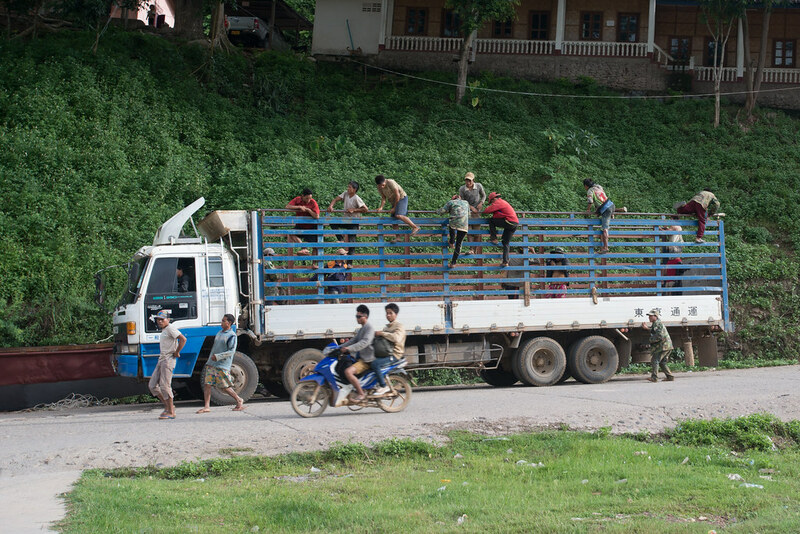 In many ways we felt that we were back in Nepal while in Laos. 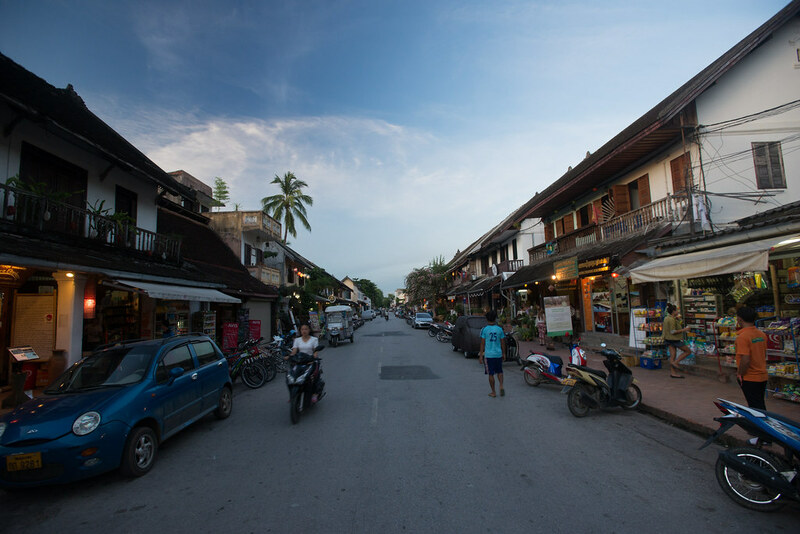 Our first morning we set off to catch a boat to Luang Prabang, an old French Colonial town on the Mekong. We managed to beat the crowds of tourists to buy our tickets for the boat. 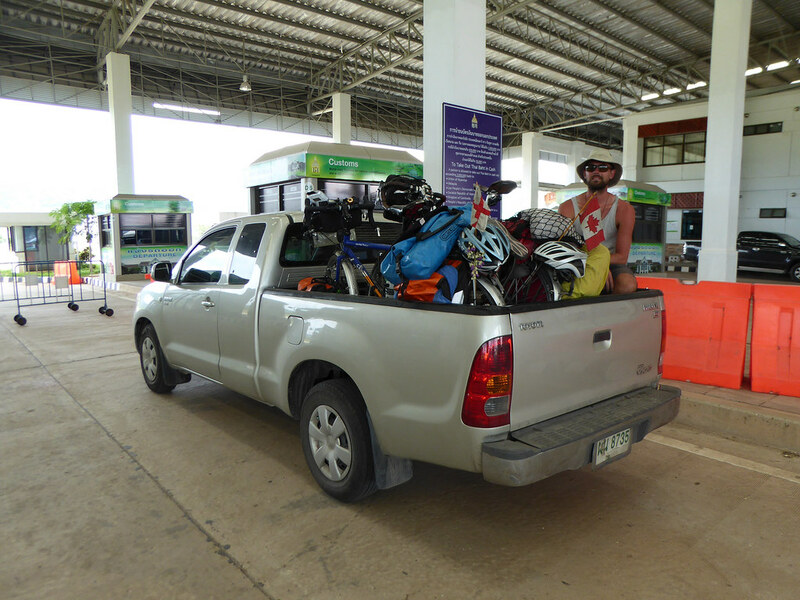 All was going smoothly until we pointed to our bikes, that’s when the ticket man and the ship captain looked at each other and decided the price for putting the bikes on would be almost the same as a ticket for an individual. They smiled at each other, other locals all around were laughing. We argued for a while but no change was made. Irritated, mad at ourselves for dealing with the situation how we had and without much recourse we paid and began carrying our bikes and bags down to the boat. It was a plain and simple extortion and something we had experienced several times on the trip in various countries, sometimes for small things, sometimes for bigger things, but it never fails to make you feel upset. 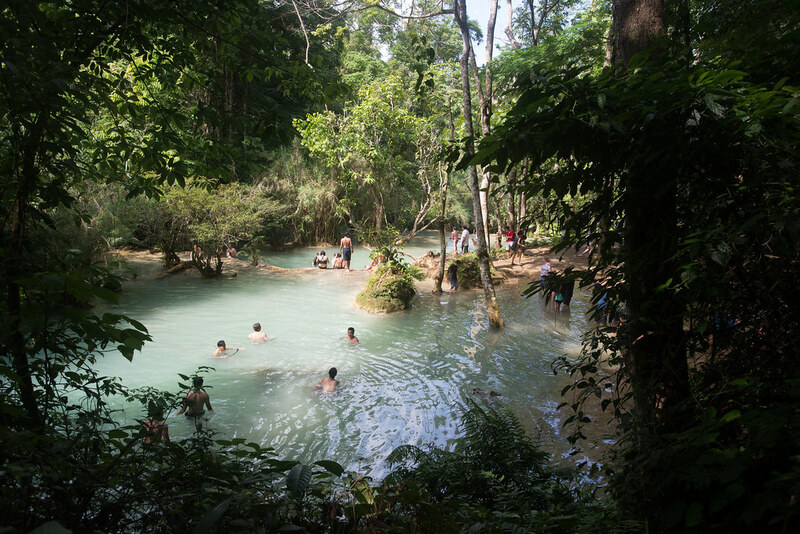 And it was a taste of things to come in Laos. 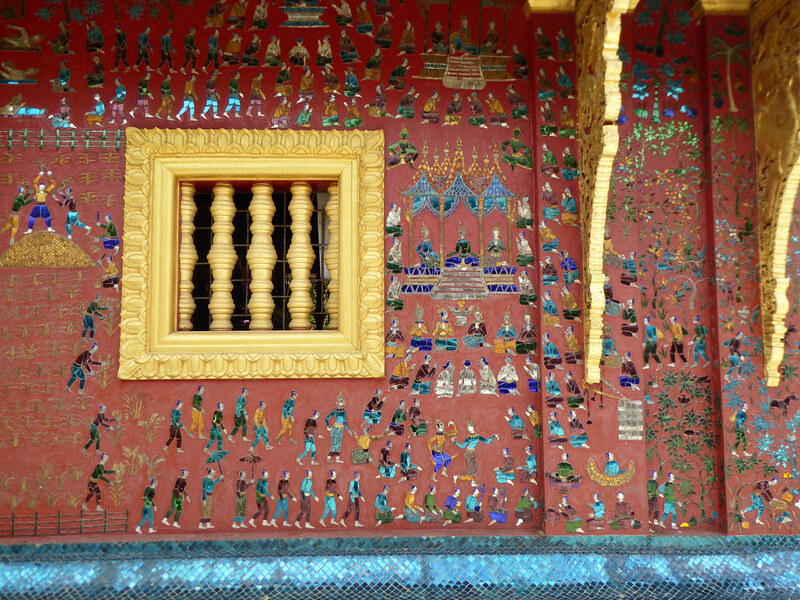 After our foray into Thailand where things are more organized, regulated and seemingly fair we were off our guard. 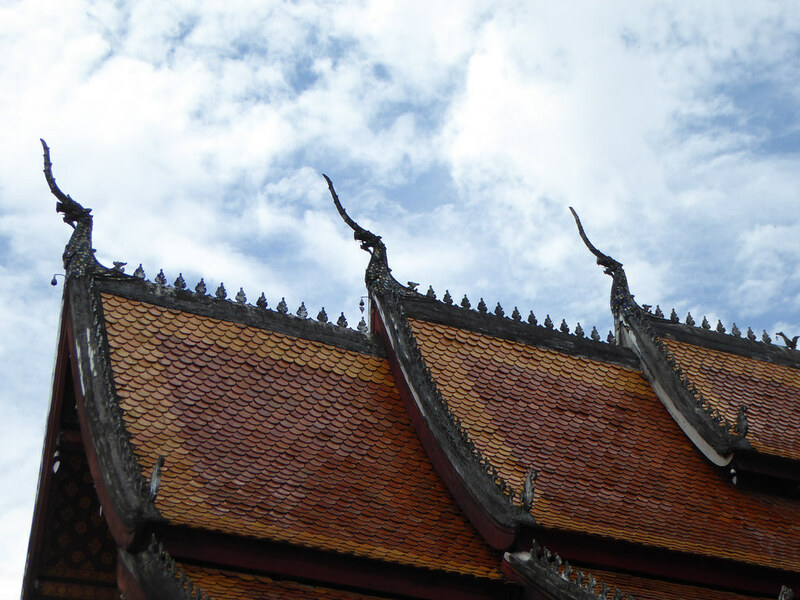 In places like Laos, the more questions you ask, such as, “excuse me is this okay?” the more opportunities there are for people to try and take advantage of you, sadly. It’s better to just do what you feel is right and fair and ignore people around you. It’s a really difficult thing for many westerns to do, ourselves included. But, when there are people always trying to hustle you it’s better to do something that naturally feels rude, than to be taken for a ride nearly every day. Needless to say, we didn’t make the same mistake again. 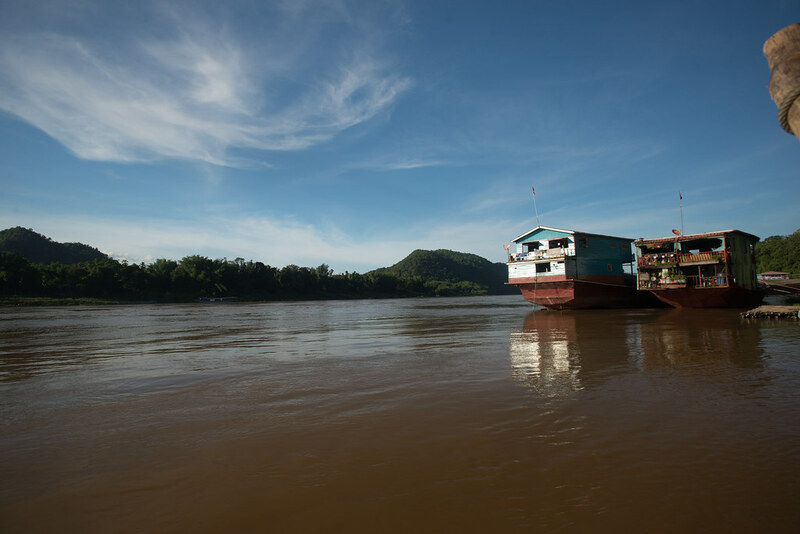 The cruise down the Mekong was fairly pleasant; the boats cater to young western backpackers (of which there were many), with cold beer for sale and snacks, there is also a smattering of locals being ferried to and fro. 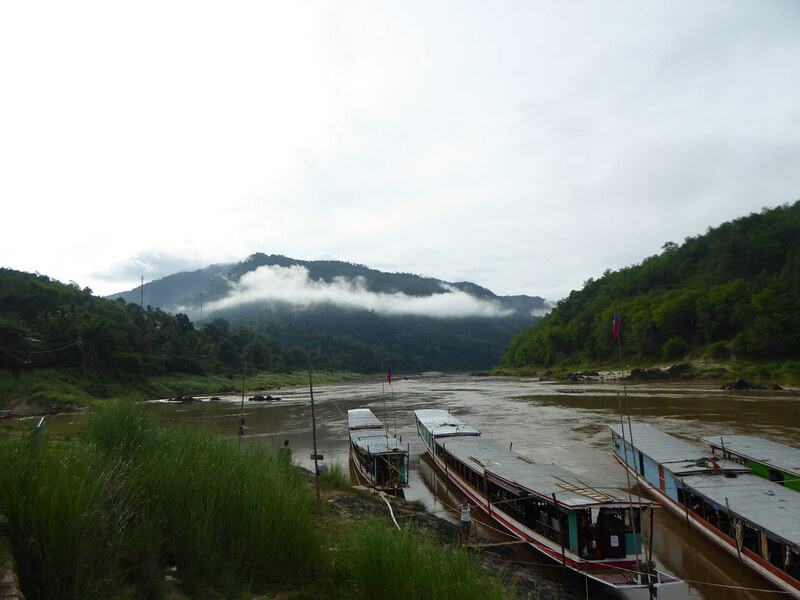 The trip was broken up into two days with a stop in Pak Beng (another unspectacular town with overpriced food and accommodation) however the ride down the river was stunning. 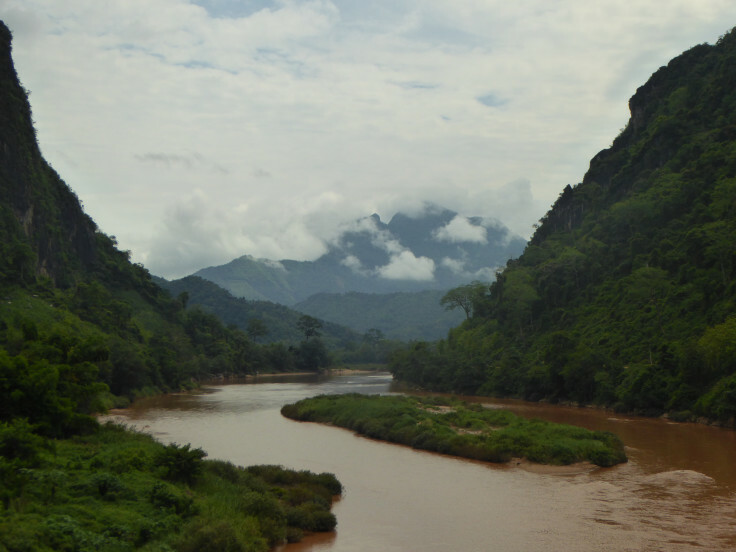 Laos is basically a country of dense jungle on steep mountains with large rivers between. 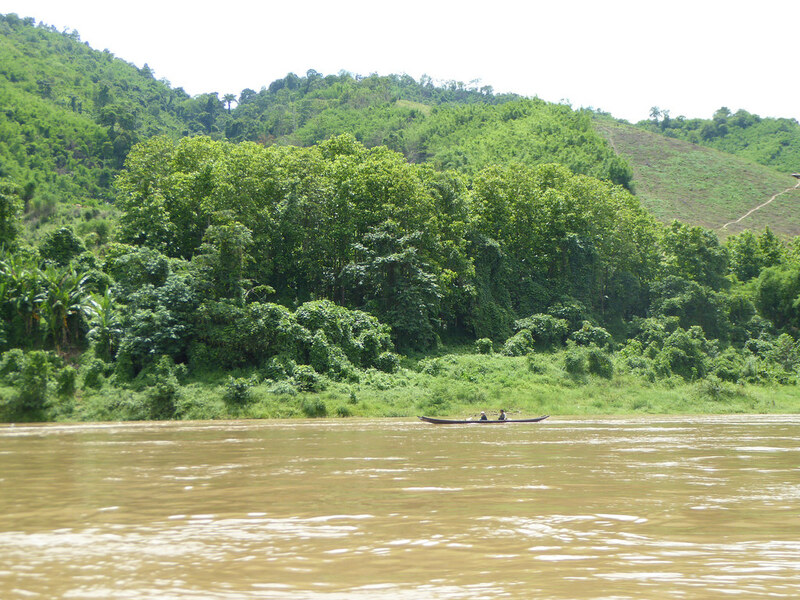 So, on either side of the wide, mighty Mekong were lush towering hills with the occasional village built into it. 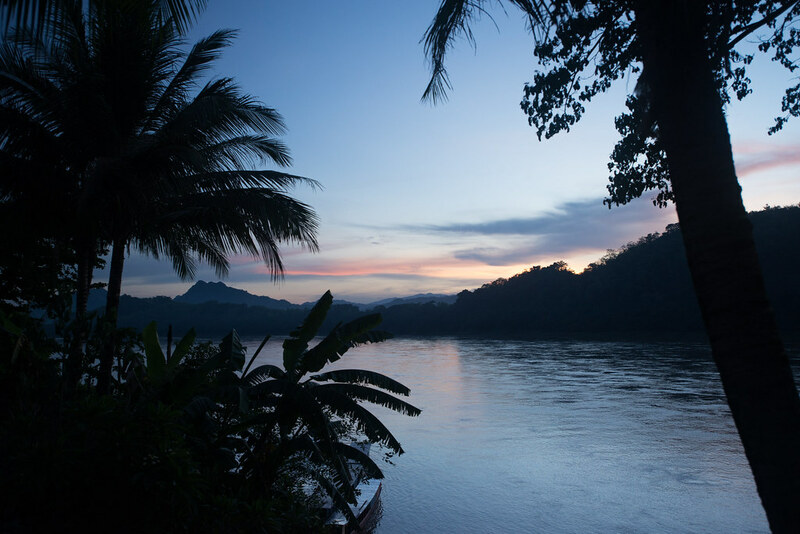 Speedboats and long tails pass by and you can see herders tending to water buffalos and thousands of banana trees in patches on the mountains. 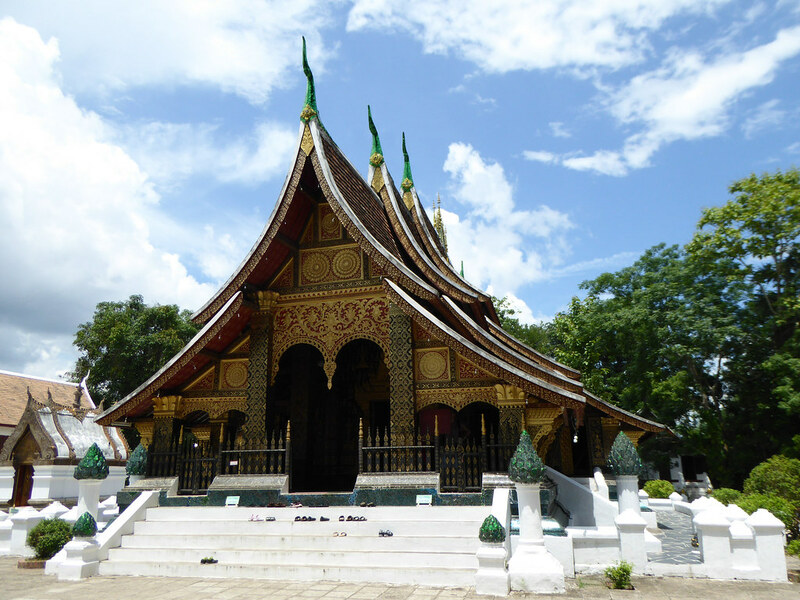 Our next stop was Luang Prabang, which was a nice place to stop for a few days. 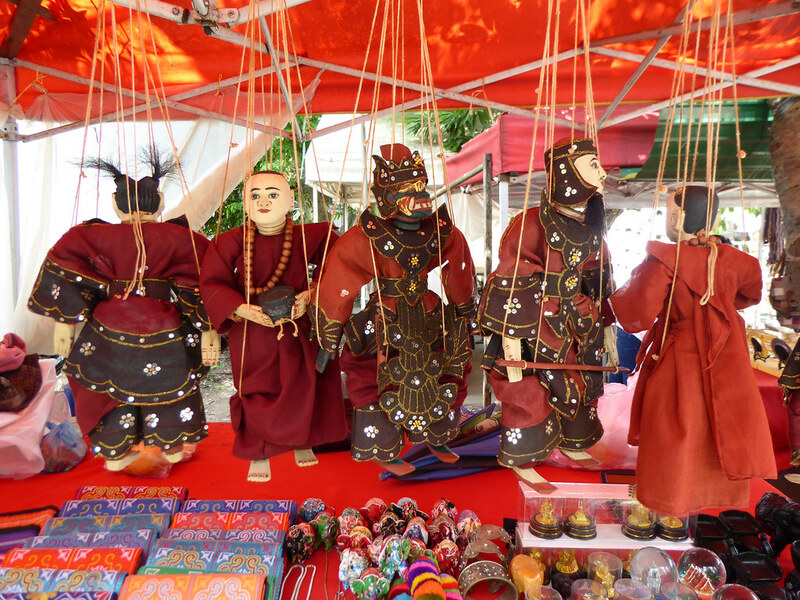 It is a charming town with old French colonial buildings and some beautiful monasteries. 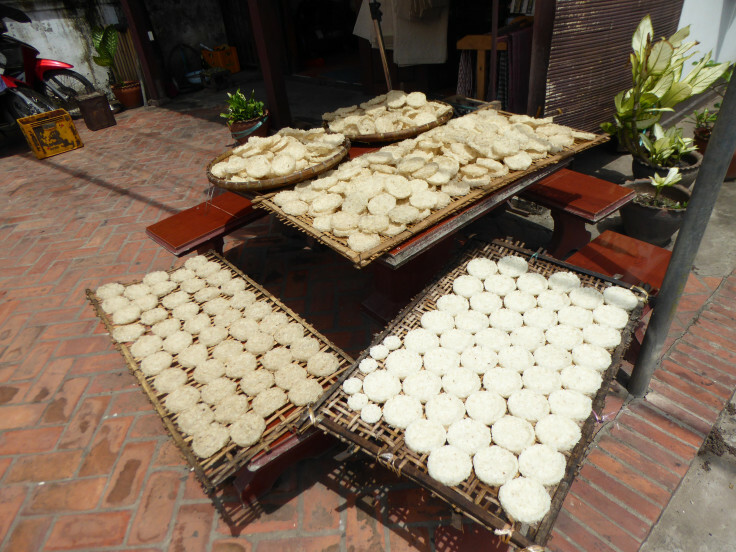 The town also provides some home comforts serving up western food nearly everywhere and has some echoes of the French colonial past with half decent pastry and bread. 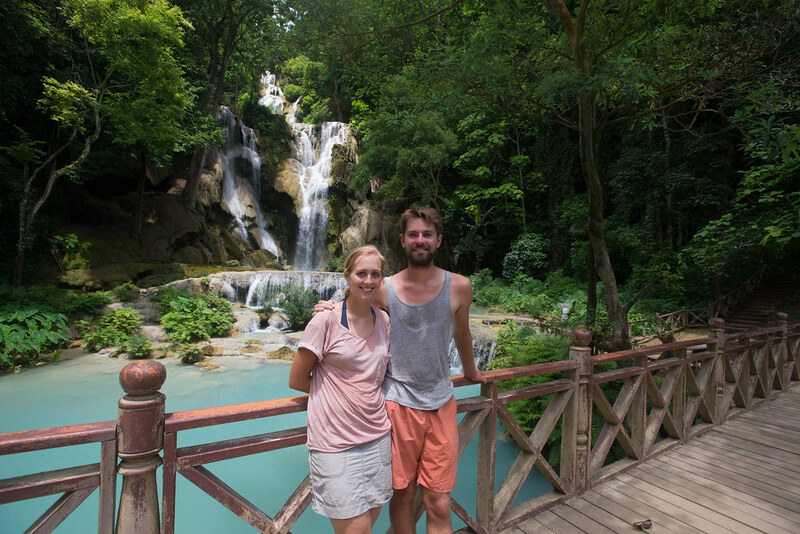 While in the town we took the opportunity to cycle out to the famous waterfalls of Kuang Si a few kilometres away from the town. 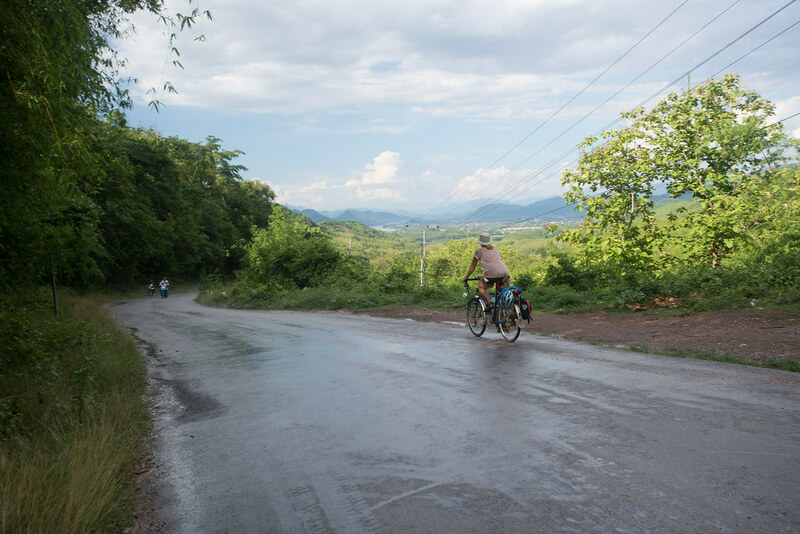 Although close, the cycle to the falls was quite challenging as roads in Laos are very poorly graded with very steep climbs. The falls however were worth the ride and were pretty amazing. 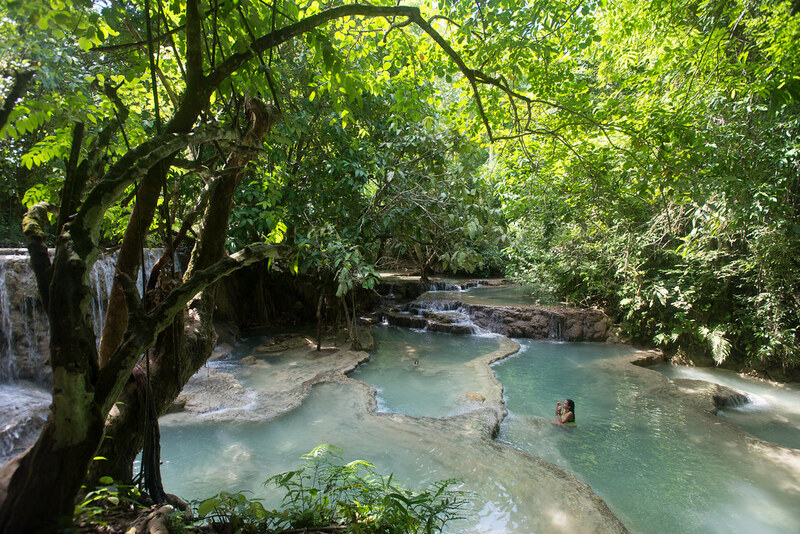 Nestled in among the jungle a large falls has formed a number of terraced pools among the trees and undergrowth which make for a beautiful location. We managed to beat the crowds and had a few of the pools to ourselves for a time while we went for a dip. 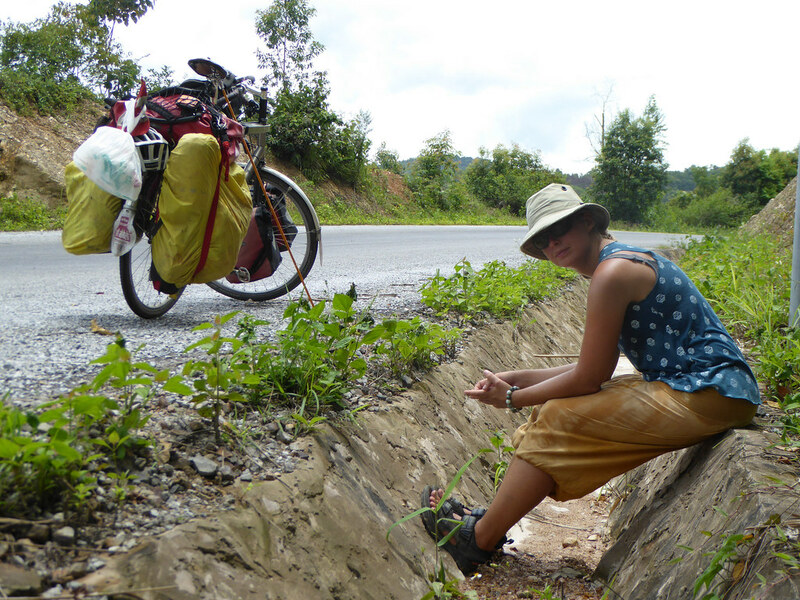 Our original plan was to cycle out from Luang Prabang to the border of Vietnam. 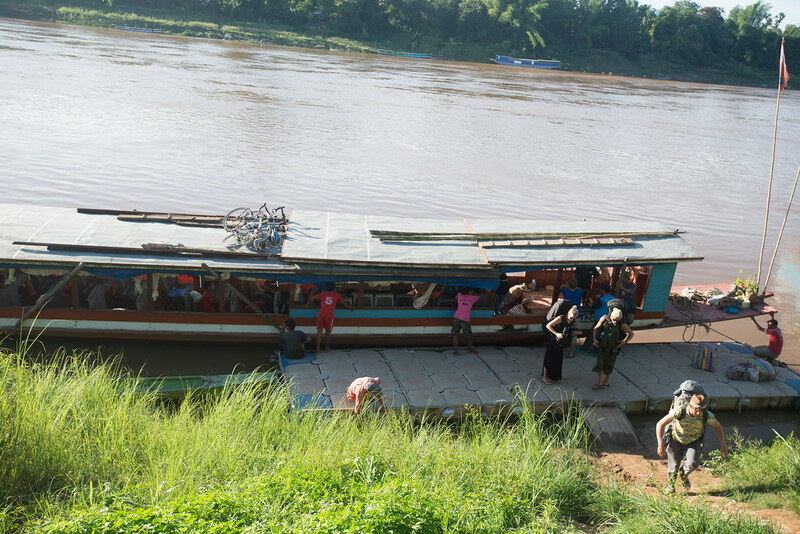 But after a few discussions with a few different people who had come from that way by bus, we learned of some washed out roads and mudslides, so it was back into the boat again. Smaller boat, more locals, smaller river this time around. 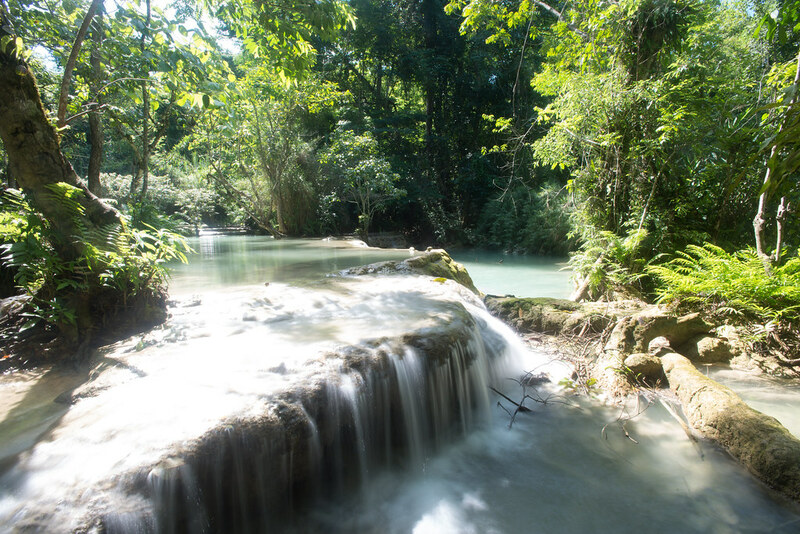 The scenery was amazing, towering limestone cliffs jutting out of dense jungle, it was a dramatic picturesque scene every half an hour or so. 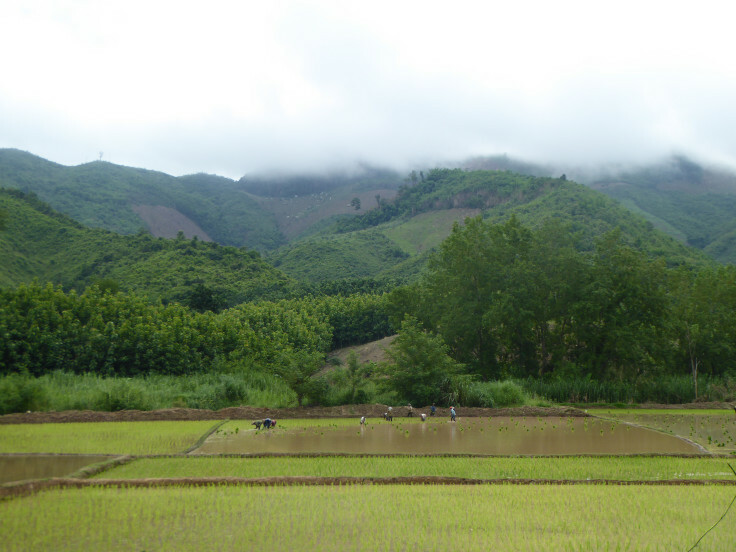 Our several hour boat journey brought us closer to the Vietnam border but luckily there were still a few days of cycling to get there, and a huge mountain range to cross. The following days were a mixture of joy and pain. 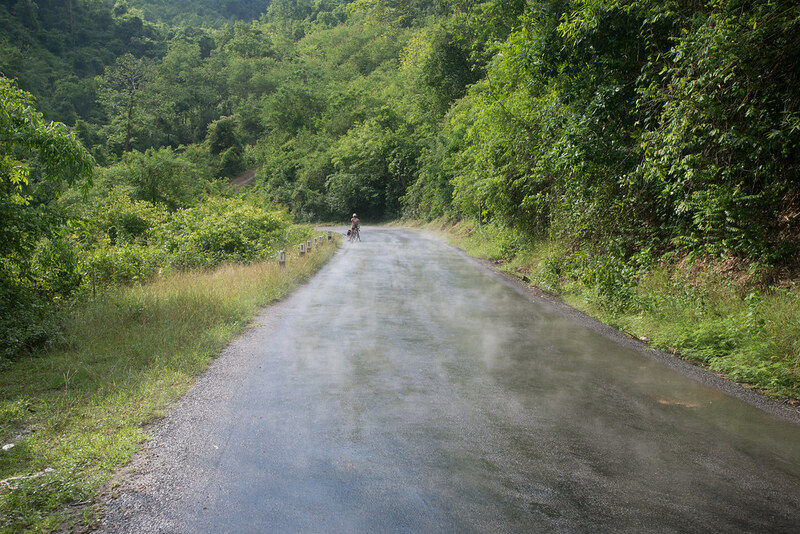 It was great to be back on the bicycle, but cycling in Laos is pretty rough most of the time. Towns are infrequent, and if you are outside of touristy locations there is little to buy. 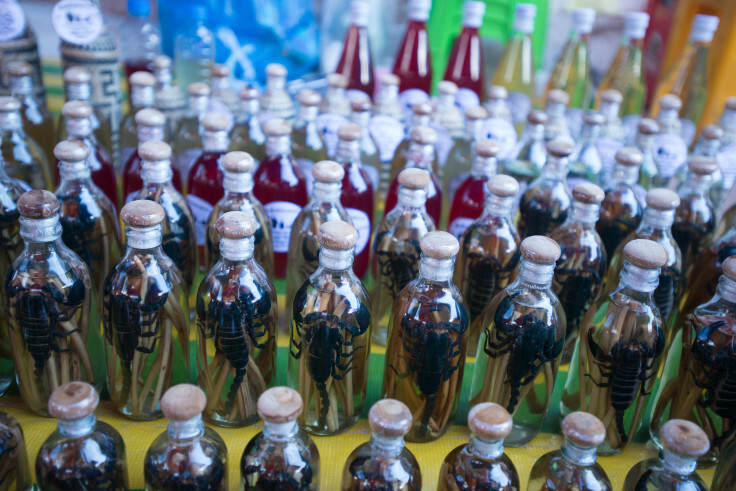 Unless you happen upon a local market your choices are largely a variety of soft drinks, freeze dried noodles and some snacks from China. Then there is the road. It is all hills, all the time; and in our case we were going up from the day we started. The road apart from being uphill was also steep! We were always climbing up gradients that were far greater than they should have been; and around every corner there was another one. The last problem of course is because it is mountain, river and valley everywhere. There is next to no flat land, which is not occupied by a home or agriculture, for camping. We managed for a few nights, but it was a struggle. One night we were exhausted, in a town and needed a place to sleep. We ended up finding a ‘hospital’ which we managed to talk our way into staying at for the night, calling it a “hospital” was a bit of a stretch. 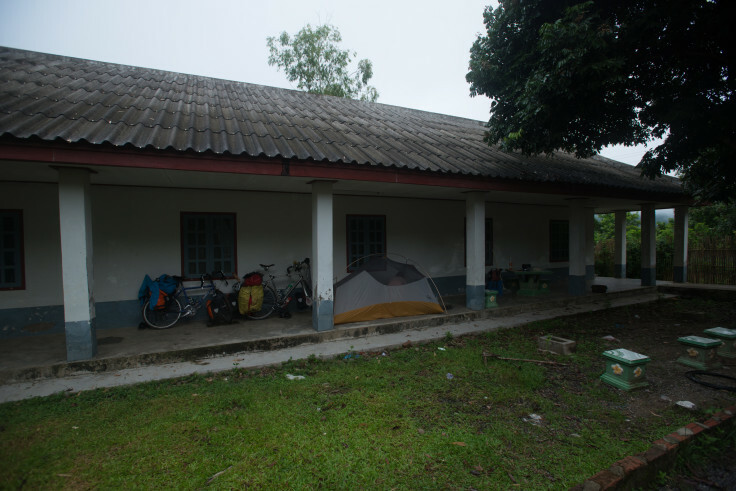 Empty rooms with metal framed barrack beds and unscreened windows, a bathroom with a tiled plunge pool which you used to draw water from to bucket wash. And, the bathroom was attached to the morgue, which was a small brick building with a wooden door. It was a very unhygienic place which made us feel very sorry for the locals and also reminded us how fortunate we were to have been born in our home nations. It was a creepy place to spend the night as it looked like the set of a horror film. After the hospital was our last day which was a marathon climb up and over the mountains into Vietnam (a day early for our visa…) and a whole new country. 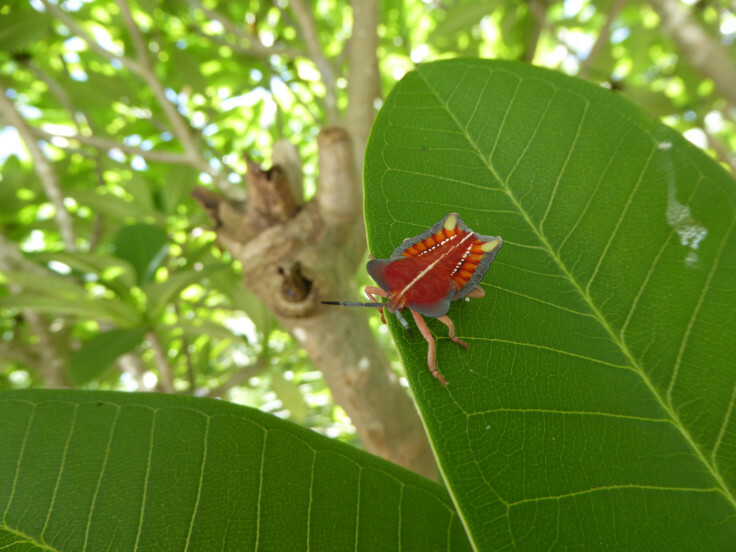 Laos was a beautiful country, but we struggled there for a few reasons. 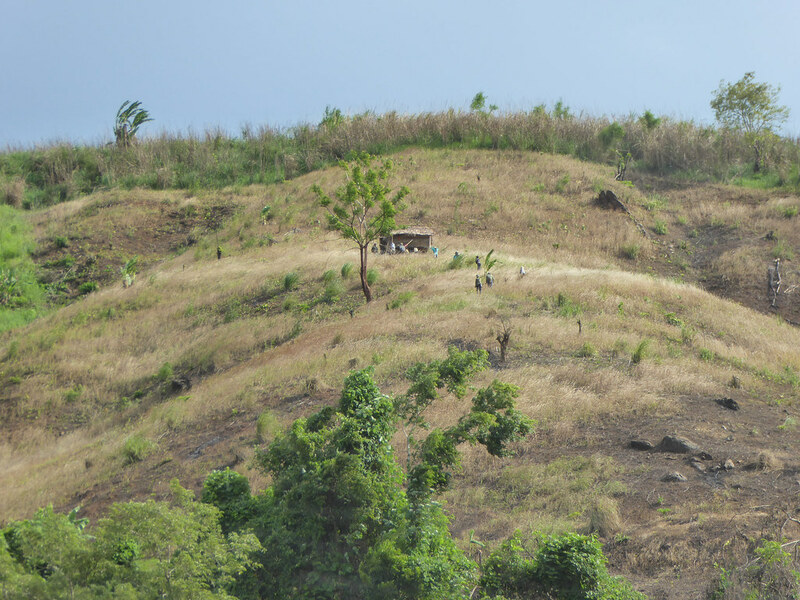 The heat, the landscape, and the people. 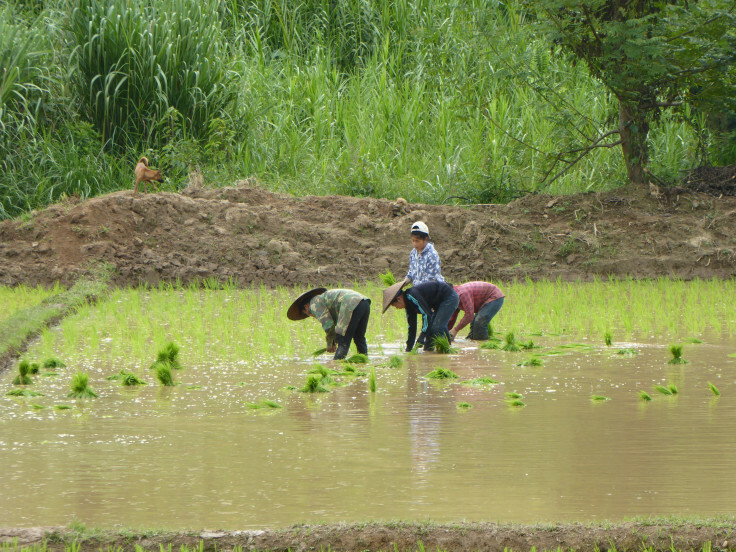 We found that in Laos many of the locals were not particularly friendly and in some cases just rude. We debated the reason for this many times as we are always loathe to describe the entire people of a particular country as rude. 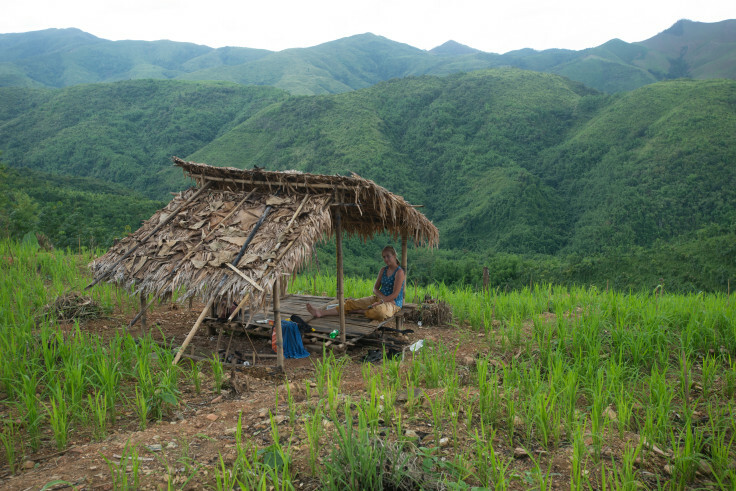 Our thoughts are, that possibly the disparity between the poverty of the local people and the wealth of the young backpacking Westerners may be causing some of the bad feelings that we experienced from the local people. 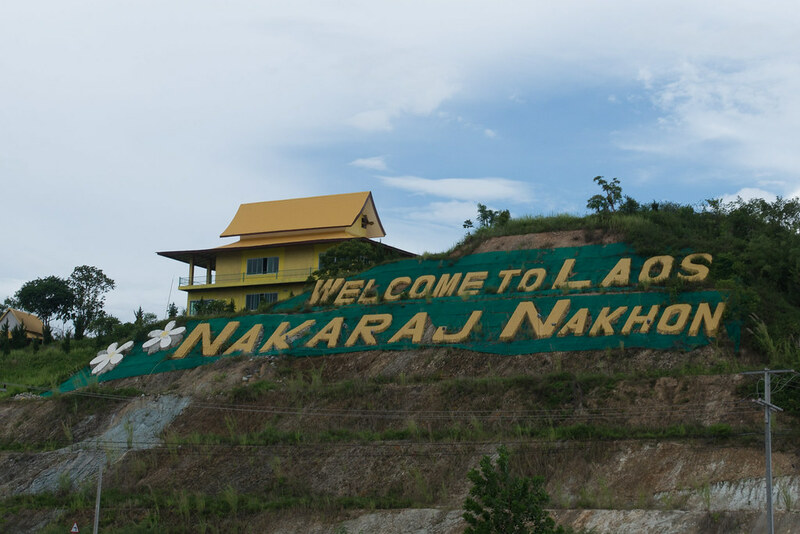 They seem to simultaneously rely on and yet resent the tourism that is the major and perhaps only source of income for Laos and this is a toxic combination. Interesting comments …… but true. We went there in 09 and thought much the same. We bought the portable bamboo rice containers and would regularly get less rice at an inflated price. Small thing but we just wanted the container filled to feed us through the day. Many people thought the place heavenly. Hey the kiddies were lovely but after we had a knife pulled on us near Savannahket looked at it just like any poor country. Looking forward to your China piece.